“Tucked in a redwood forest a couple of miles from the Pacific coast, the University of California—Santa Cruz is a nature-lover's dream,” the article begins. Each year the magazine focuses on a geographic area for an in-depth look at several universities. For 2016, editors chose the San Francisco Bay Area and visited UC Santa Cruz, Stanford, University of San Francisco, and UC Berkeley. A U.S. News writer and photographer each spent a day on campus in late January and early February. 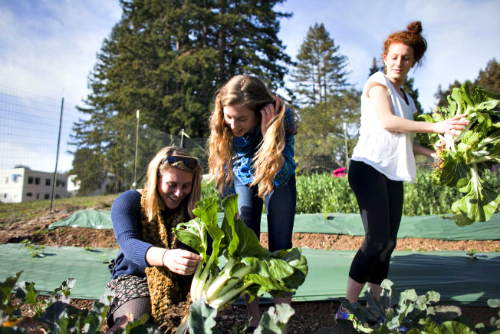 The article includes a close look at UCSC's distinctive system of residential colleges, and includes quotes from students and faculty, including Cowell Provost Faye Crosby who describes the colleges as “intellectual neighborhoods."